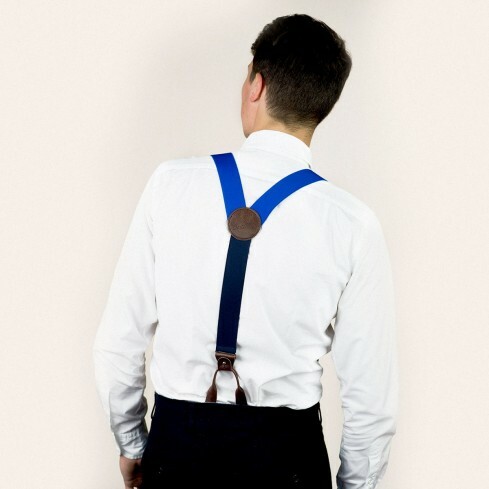 These royal blue wide braces/suspenders will really set off even the most formal outfit. 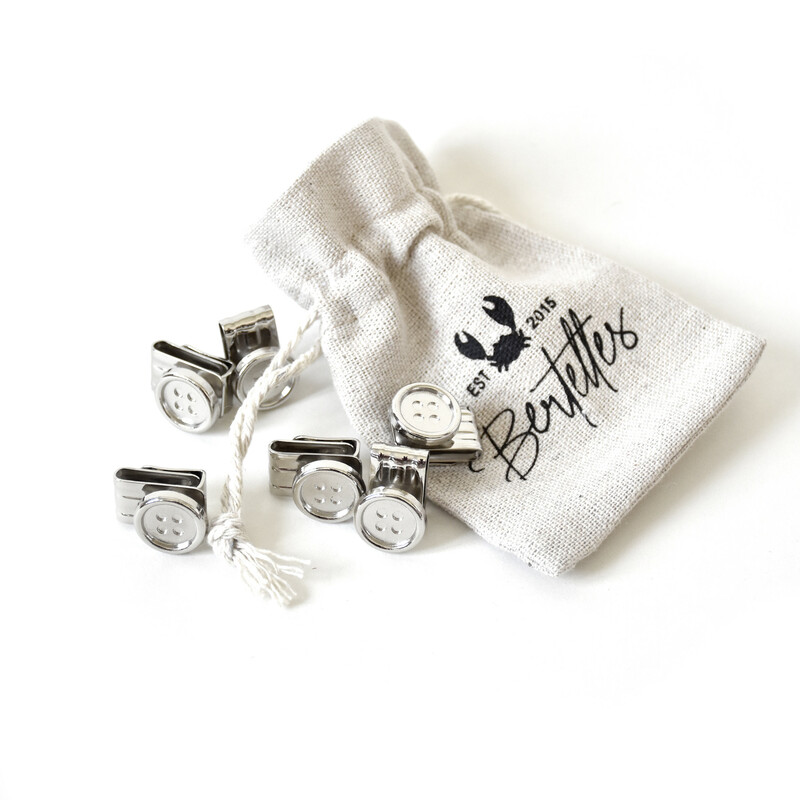 They come with two attachment systems that are effortless to swap – stainless steel clips or button tabs. The elasticated strap measures 35 mm wide and 120 cm long and is made in Belgium. The branded badge and other leather parts are made from carefully selected full-grain leather. 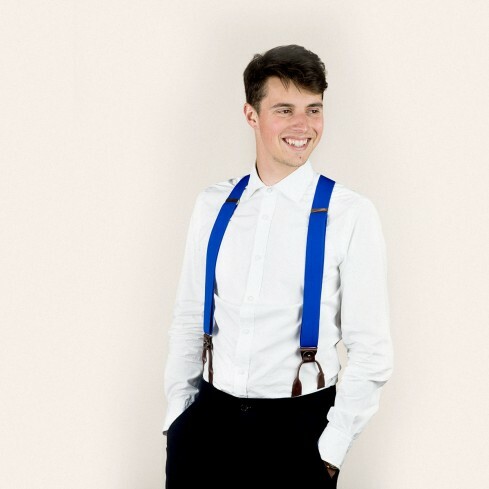 These head-turning, elegant braces/suspenders are equally at home under a suit jacket or in plain sight – so you’ll really stand out from the crowd.